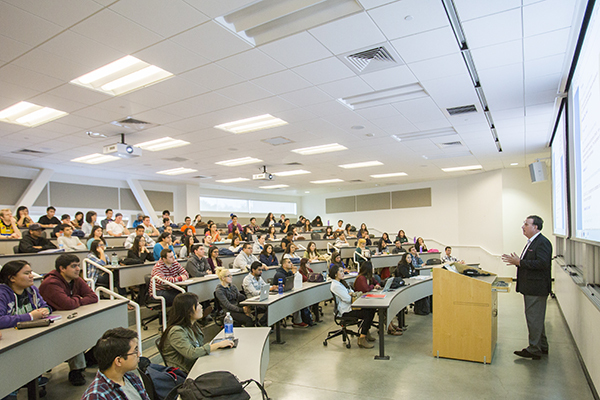 Summer Bridge is an exciting opportunity for specifically selected students to sample university life at Cal State Fullerton and to prepare for the rigors of university work. Summer Bridge is a five to six-week residential program during the months of June and July that includes academic, cultural, recreational, and co-curricular activities. Participants live in the dorms under the supervision of CSUF faculty and staff. All residents are expected to stay in the residence halls from Sunday evening to Thursday or Friday afternoon during the entire session. All participants benefit from the personalized attention, individualized instruction, accessibility to campus resources, and the friendships with staff and students developed over the period. The cost of housing and meals will be covered by the Educational Opportunity Program. Financial aid is available to cover the full cost of the coursework. However, depending upon how much aid the university awards you for the full school year, you may be financially responsible for the coursework including textbooks. Cal State Fullerton will review your financial aid application for eligibility and you will be notified concerning any coursework fees for which you are responsible. You can check your student portal at www.fullerton.edu for your financial aid award and check the coursework fees at Student Financial Services or CSU Student Fees Website .